Both looked to be well on the way to selling out by the time I left, so the effort was clearly a worthwhile one. I didn’t myself end up walking away with an order for Bingle Jells, Rockin’ Reindeer or one of the seven other Christmas ales on offer (I’m not convinced that Yellow Snow was an obvious draw, though the beer itself was more than decent). What I did walk away with was rather more unexpected. Mighty Oak, I was surprised to learn, has started producing spirits. From the little information available, it appears that Wilde Spirit (40%) is, as its name suggests, a distillate of the brewery’s Oscar Wilde mild (3.7%), an excellent East Anglian example of the species (indeed, one of my favourite quaffing beers) and the 2011 CAMRA Champion Beer Of Britain, to boot. What is clear from the neck label is that the spirit is produced by the English Spirit Distillery in Dullingham, Cambridgeshire. 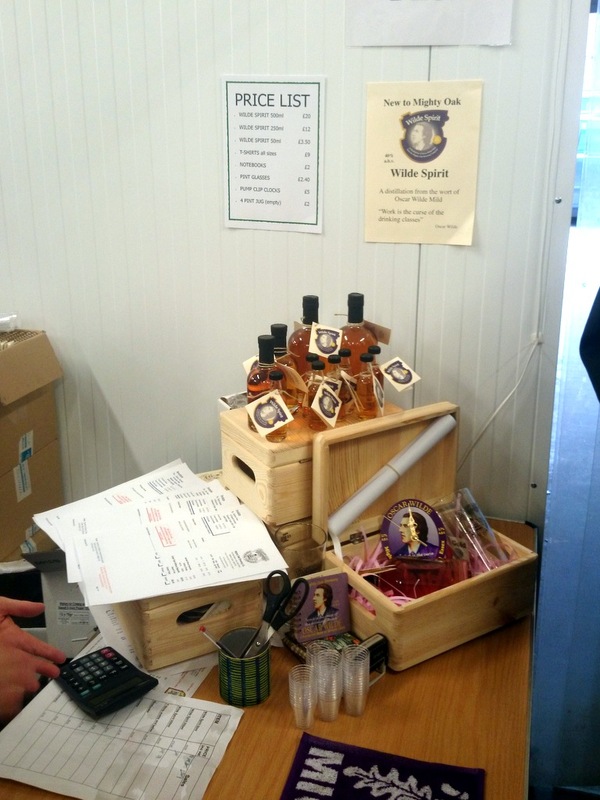 I hadn’t previously come across this company (I don’t go out of my way to keep up with industry developments nowadays) but it appears it has been distilling since late 2010, producing its own line of vodkas, gins, a rum and other spirits, even grappa. It also offers contract distilling services in a pair of what look like copper alembic stills (possibly explaining the “perfumy” aroma of the Wilde Spirit). With these diverse interests, it’s maybe no surprise that the English Spirit Distillery is joining the rush of new wave English whiskies. Its first whiskies are already in barrel and in the meantime there’s its “near-whisky” Malt Spirit (40%) and Expedition series (42%). The company also offer British brewers the opportunity to have their own whisky made in their alembic stills if they supply 200hl of wort. 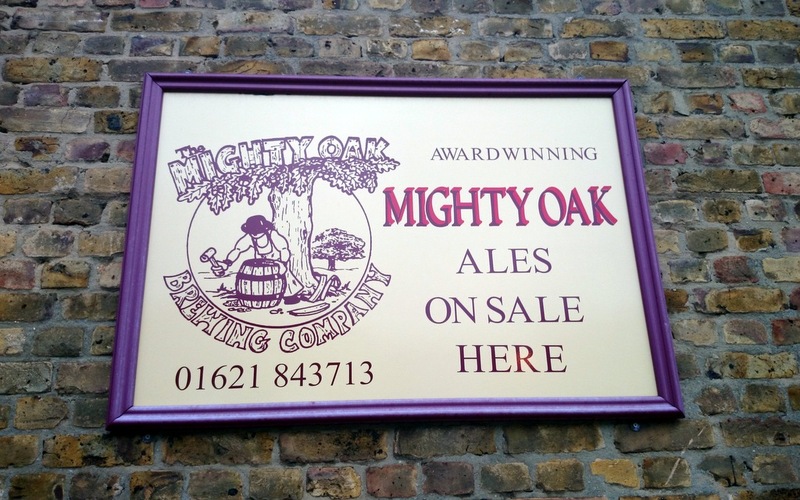 Mighty Oak’s Wilde Spirit could well prelude a flood of such products, which, if they retail anywhere near the £12/250ml or £20/500ml that Mighty Oak was selling them for, might find a small but ready market. Whether they ultimately bear comparison with established brands remains to be seen of course but this may be another step forward for new-wave whisky distilling in the UK.